By law, no underage migrant can be detained in Mexico. However, during 2016, more than 40,000 children were detained in the centers of the National Institute of Migration (INM) because the government is unable to guarantee free transit through Mexico now that the phenomenon of migrant children has been exacerbated. The creators of Migratón® and its partner organizations have decided to contribute to the solution of this problem, offering a personalized protection network and productive activities* for the young ones that benefit the Migratón®. 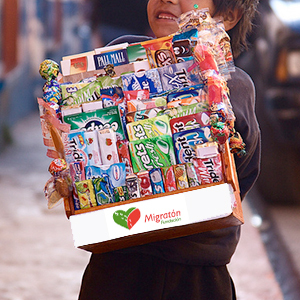 * Sale of Migraton® retail products such as chewing gum, candy, chips, cigars, windshield wipers, etc. 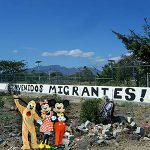 Aware of the rejection of Central American migrants, the Migratón® has proposed to promote their acceptance by society with a double strategy that benefits their image and at the same time reinforces the cultural values ​​of our country. As we all know, Mexico conquered the world with the figure of El Chavo del Ocho. 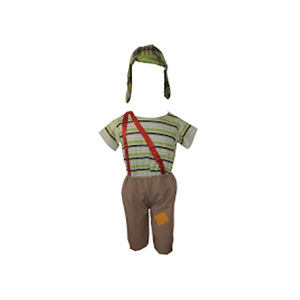 The Migratón®, together with the Televisa Foundation and the Mexican government, proposes to apply the taxes deducted by us, along with the taxes collected from the population, to achieve the goal of delivering 8,000 Chavo del Ocho uniforms* and significantly improve the appearance of migrant children in the social imaginary. “El Chavo” managed to win the hearts of the whole world despite living in a barrel and dressing almost like a beggar — If he did that, why can’t we do the same with these abandoned children? Given the enthusiasm generated by this initiative, the bus company Autobuses del Sur has a special offer: for each uniform you pay, it will allow your “Chavo” to sell Migratón® products on its buses. The 40,000 migrant children who were rescued on Mexican soil in 2016 had to be lodged in the 54 accommodation centers* offered by the National Institute of Migration (INM). 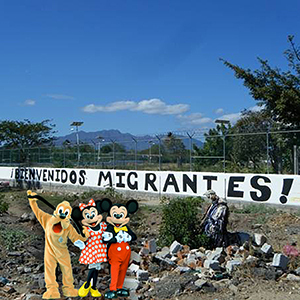 The Migratón® proposes transforming the current detention centers into lodging centers open to the imagination. Because fantasy is the privilege of childhood, the Migratón® has created the program INM MAGIC WORLD! The Walt Ditzy Corporation has offered, at a very affordable price, the use of its charming images to beautify the facades of these centers, beautifying the dreams of thousands of kids and simultaneously relieving the restlessness of tourists who come to admire the beauty of our country every day. *The government prefers not to use the term “detention”. 4. SÍ FLAGS: SAY YES TO YOUR IMAGINATION! Many migrant children travel alone because their parents are already fully living the American Dream. When these little ones are rescued by immigration agents, the authorities give parents the opportunity to identify their children and begin the process of applying for refugee status in the United States. However, these procedures can be complicated and take a few years. The Migratón® will offer management to the parents for the duration of the process from the origin to its possible resolution. This could include: facilitation of cross-border transport whenever necessary; precise information about the different incentives that the authorities require for the visa approval process; the filling of the 6 forms that make up the file for the beginning of the administration; agency in case one of the parents of the creatures is taken by kidnapper, trafficker or drug trafficker. To encourage the children who live with the hope of being reunited with their families one day, the Sí Flags company will donate six daily passes so that the children, duly accompanied by INM agents, can enjoy seeing how Mexican children enjoy the amusement park and can imagine that they’re also participate in the fun.